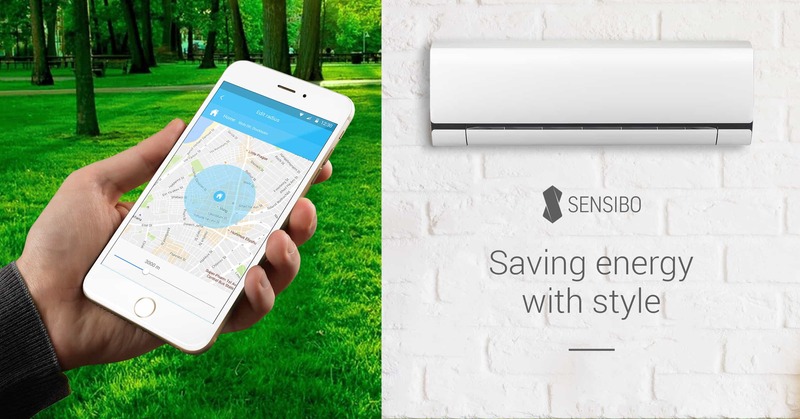 Sensibo Sky is the ultimate device to control any remotely controlled air conditioner and make it smart. With Sensibo you will be able to control, monitor, automate and save energy. All you need is a WiFi network & a smartphone (iPhone or Android) and the free Sensibo app. Let Sensibo remove unwanted extremes in temperature or humidity according to your preferences. Simply pre-set your limits and determine the reaction you want from your air conditioner if your limits are exceeded.